Melt everything together in a double boiled except the popcorn. [You can see the faux double boiler I used in my salted caramel bark and my chocolate covered strawberries.] 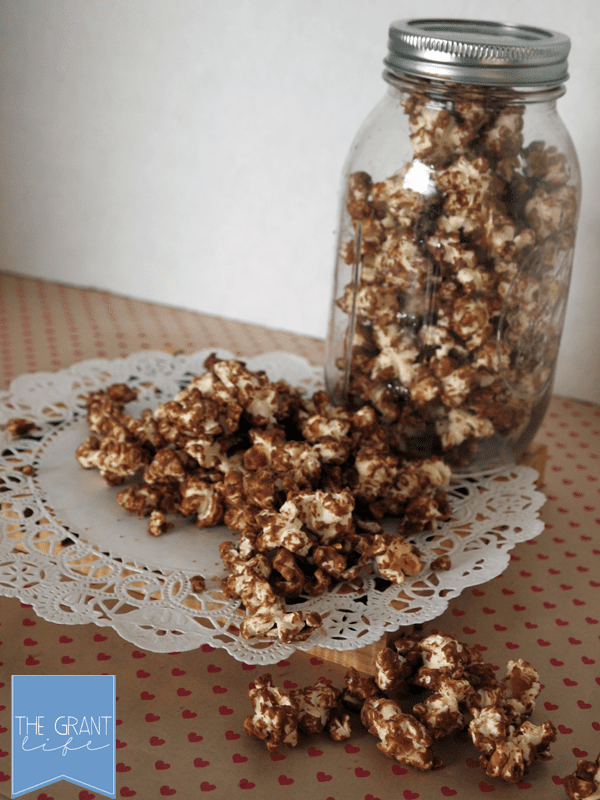 Drizzle the chocolate mixture over the popcorn and mix with a spoon. Or your hands if you want to in on the chocolate+peanut butter action. Let it cool for about an hour. Melt everything together in a double boiled except the popcorn. 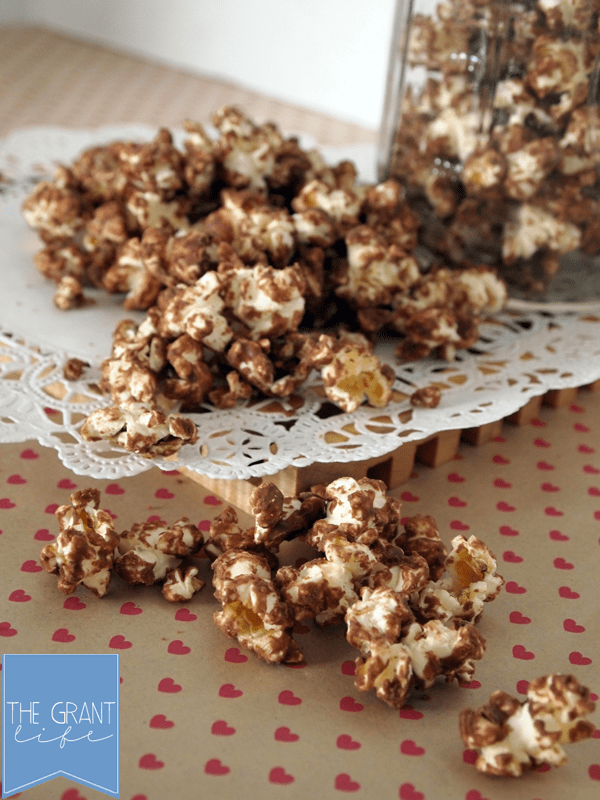 Drizzle the chocolate mixture over the popcorn and mix with a spoon. Two of my favorite foods, Reeses and popcorn. I’m dying to try this for my kid’s after school snack…if I can resist eating it all. 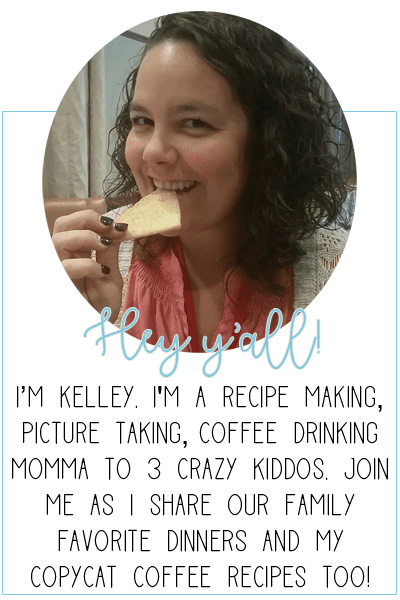 Kelly, this sounds great! 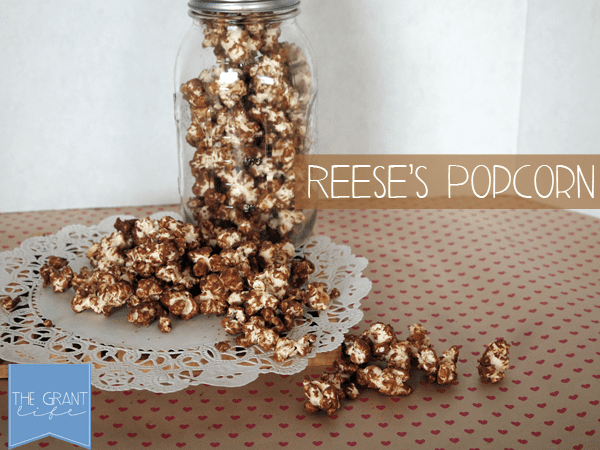 I’ve made popcorn before with melted butter, honey, and pb, but never added the chocolate. What a great idea! Ohhh.. yours sounds great too! Ill have to try that soon! Hi Kelley 😀 This sounds yummo! 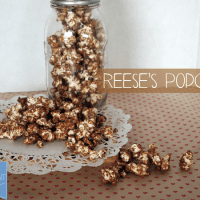 We are big chocolate and peanut butter fans here so I’ll have to make this and try it. Thanks for sharing friend xo! Let me know if yall try it! It really is yummy! Seriously, I could live on this! You and me both, friend. You and me both! I love making my own flavored popcorn at home. It is so much cheaper than buying the “fancy” kind online or at the store. I love this combo. Thanks! I agree, I love that its so inexpensive to make! I bought a popcorn maker today. My husband is going to go APE over this! I would love for you to share and link up at my weekly TGIF Link Party if you haven’t already this week. Your favorite posts, most popular, recent or new! The party is open every Thursday night and closes Tuesday’s at midnight. Followed by (Not SO) Wordless Wednesday! http://apeekintomyparadise.blogspot.com/. How much chocolate bark? What size popcorn bag? I think I used 2 or 3 bars of the chocolate bark and one regular sized bag of popcorn. 1 regular package of reese’s, so like 2 reese’s cups, regular sized?